Ferrari 575M Maranello – car produced by the Italian company Ferrari unveiled at the Geneva Motor Show in 2002, one of the best selling models of the company. 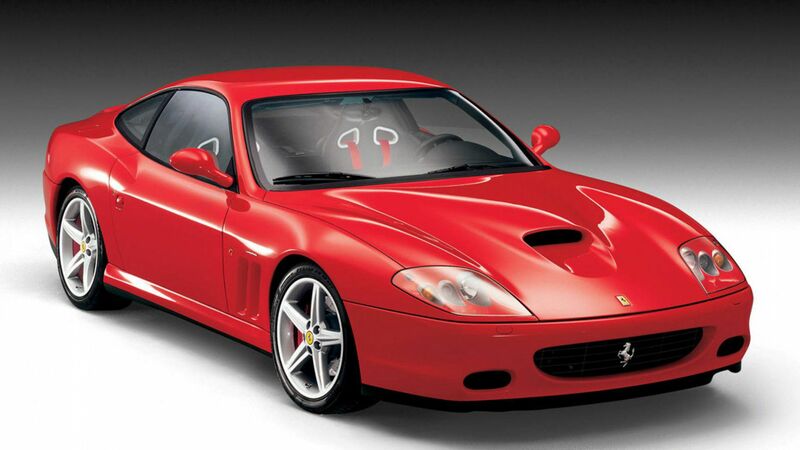 He was the successor to the 550, and in 2006 was replaced by the 599 GTB Fiorano. The letter "M" stands for "modificato" (with incl. modification), and the number 575 means the engine capacity (5.75 l). At the 2006 auto show in Los Angeles presented an open version of the 575M Maranello (characterized a rotating glass roof with adjustable levels of transparency and a slightly worse performance). Model was named Superamerica.